Graco is proudly among the trusted companies that design and manufacture innovative baby products. For generations, this brand has been providing practical and reliable products to families all over the world. Among the most recommended Graco products are their baby strollers. The Graco Room for 2 Click, Connect, Stand and Ride Stroller offers a set of features that make it stand out from hundreds of other strollers in the market. This Graco stroller is an ideal choice for families with two children because it is designed with a front and back seat. Both the front and rear seats are padded and can comfortably hold kids weighing 50 pounds each. Additionally, the front seat also has a multi-purpose recline feature, including a fully flat position to allow for a relaxing nap time. On the other hand, the rear seat is a perfectly comfortable bench for your older child. He can also choose to stand on the durable platform while holding on to handles added to help them keep their balance while the stroller is on the go. As an added feature, this stroller is also compatible with all Graco infant car seats. The Classic Connect and Click Connect technology ensure that the car seat latches on top of the front seat securely. Both front and rear seat cushions are also removable and machine-washable, so you can clean them up easily in cold water and a delicate cycle. It also boasts an easy fold technology that can be accomplished one-handedly for quick storage. The front wheels have a built-in suspension that can be locked so you can safely stroll on uneven terrain. In addition, The Graco Room for 2 Click, Connect, Stand and Ride Stroller is also designed with a parent tray that consists of two cup holders and extra space for phone, wallet, or keys. It has a large storage basket that can carry enough stuff for your baby and older child. The front seat has a tray that features storage for bottles, snacks, or cups. It also pivots fully to allow you to lift your baby in and out of the seat with ease. 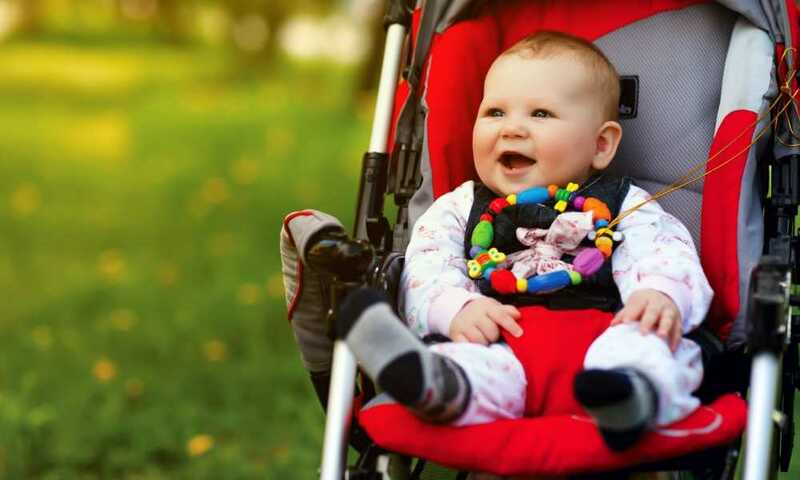 Why should you consider this stroller? How to Give Gripe Water to Baby? MyNewbornGuide.Com is a participant in the Amazon Services LLC Associates Program, an affiliate advertising program designed to provide a means for sites to earn advertising fees by advertising and linking to Amazon.com. Additionally, MyNewbornGuide.Com participates in various other affiliate programs, and we sometimes get a commission through purchases made through our links.